Vmail is one of the best and upcoming email service provider for every young mind and will be of more use for students, traders, engineers, Even for our unborn children so what are you waiting for? In our post blogging 2020 we discussed on some little aspect of bringing more light to the Nigeria webmaster sphere and today we are proud of this wonderful development. Nigerians have done wonderfully well in the areas of web development, application development, web hosting service and many other ICT related services. Despite these achievements, Nigeria is one of the countries with no indigenous email service provider. Most Nigerians are users of YahooMail, Hotmail and Gmail which are owned by foreigners. It’s only few Nigerians who have websites that make useof their webmail. 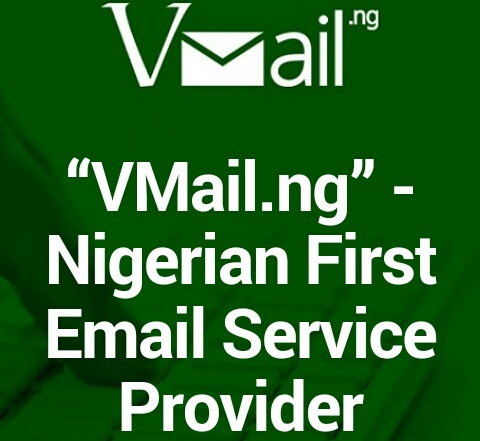 Unexpectedly, Nweze Ikechukwu and Njoku Princewill, who are Nigerians came up with Vmail as the first Autochthonous email service provider in Nigeria. According to them, Vmail is a web-based email service provider which offers top class email service to Nigerians and the people of the world. The guys who have been on the internet scene for years are the owners of Vent Media Organization , a registered ICT company in Nigeria which offers world class range of services like web development, consultancy, webmail solution, E-commerce and so on. Vmail is a web-based email client which allows its users to log in to their email accounts by using any compatible web browser to send and receive their email. It was created to ease Nigerians stress on looking for a reliable free email service provider and to contribute to the growth of email service in the world. The concept of Vmail was fully executed by Nigerians – it was developed by Razak Zakari and all the graphics was overseen by Busari Omotola Adeyinka (Tolagrafik) . It’s currently run on beta version and its final version will be launched later in this year. * Current status – offline. Vmail is an email service provider that has come to stay in the world. You can get your own Vmail account at vmail.ng after launch date. Steve Carell is easily one of the funniest men to have ever graced the screen. Eddie Murphy. Jim Carrey. Rowan Atkinson. Steve Martin. Bill Murray. and comedic actors who are Jewish, ranked by your votes.